A victim of Jerry Richardson’s workplace misconduct addresses those she holds responsible. Shortly after Sunday’s game started, SPORTS ILLUSTRATED published an exposé detailing allegations against Richardson and charges of complicity within the Panthers organization. The report asserted that Richardson had, for years, committed acts of sexual harassment against female Panthers employees and used a racial slur with an African-American team scout—only to effectively buy their silence by reaching financial settlements attached to restrictive non-disclosure agreements (NDAs). By that night, Richardson announced that after a quarter-century as owner, he was selling the team. This dizzying 48-hour period stands in sharp contrast to what’s happened since. Prospective buyers are preparing bids—likely more than $2.5 billion, the highest price paid for an American sports franchise—but Richardson remains the owner. Richardson’s peers, meanwhile, have come to his defense; most notably, last month, when Houston Texans owner Bob McNair implied at the NFL owners’ meetings that Richardson was unfairly targeted. Four months since the league’s announcement, there has been no word of findings from White’s investigation, or even a timetable of when they might be expected. Frustrated by the rate of change—and galvanized by McNair’s remarks—one former Panthers employee harassed by Richardson has decided to speak out. Her claims were fact-checked, and the Panthers and Richardson were given an opportunity to respond. Richardson declined. The Panthers issued a statement declining to address specific allegations, but explaining steps the team has taken to create “an environment in which our staff can feel proud to work.” (The statement can be read in full here.) SPORTS ILLUSTRATED is publishing her story, in her words, below. Thank you. Your comments on March 25, which affirmed you still have no clue or compassion in regard to sexual harassment and racism, also let me know that Jerry Richardson broke the non-disclosure agreement he had signed with me. According to you, Richardson shared his side of the story with owners. You said, “He was very candid in what he said and what he did.’’ Because Jerry Richardson spoke on the subject, I can write these letters and finally speak my truth. Jerry Richardson calling my friend, who is a well-liked and respected scout, a “n-----” cannot be taken out of context or misunderstood, and it could never be construed as a joke. For you to say that offends me; I can’t even imagine the heartache he’s had to endure. But, that’s his truth to tell. As for me, I did not misunderstand any of Jerry Richardson’s comments to me. They were clear. He wrote down many of them in notes so there wouldn’t be any misunderstanding. And, regardless of what his intentions were—you’ll have to ask him that question—he sexually harassed and assaulted me. That is my truth. When you took over the Carolina Panthers' bogus “investigation,” I was excited. The Panthers General Counsel signed my NDA, so the team has always been well aware of my truth, no investigation needed. Finally, I thought, with an outside party conducting a real investigation, my truth will come out. Little did I understand, you don’t really care to know my truth. Makes sense. My truth is bad for your business. My attorney spoke with Mary Jo White to let her know that I was willing to cooperate with the investigation that you had given to her. Ms. White said she would like to hear my truth, but neither she nor you could protect me from the penalties of breaching my NDA. Let me get this straight. You say you are doing a thorough investigation of “workplace misconduct” of Jerry Richardson. Through my attorney, I let you know that I am indeed a victim of such “misconduct” and have information for you—but you cannot protect me. Got it. You have zero power, and that makes your investigation a farce. This was confirmed when Jerry Richardson’s personal attorneys told my attorney that Jerry Richardson had NO intention of turning over any information or signed NDAs to you, and that I had better not give you any information either, or I would be in strict violation of the NDA. Seems everyone keeps perpetuating fear. It’s a theme in my truth. You need to know that not talking about or hearing my truth does not make it go away. Throughout the many years I was sexually harassed by Jerry Richardson, I always believed that there was no one above him, no one whom I could tell, without repercussions, what was happening to me. You proved me right. You have now become another enabler. There are many of you I know about and, unfortunately, even more I don’t. All of those NDAs you pushed across your desk and all of those NDAs you signed—did you ever think to follow the policy and let someone in the NFL know what was happening? To all of the former and current Panthers directors and upper management throughout the building who knew this was happening—who witnessed it happening: Did you ever think to follow the policy, and maybe prevent another female from being harassed? Your silence contributed to this horrible behavior by not only allowing it to survive, but to thrive. I know some of you have daughters. Is this type of work environment what you want for them? How insensitive you are to not only my truth, but to the truth of your scout, current and former Panthers staff, and even the victims of other perpetrators. Victims are hurt all over again when people publicly side with an abuser, let alone celebrate one. In the blink of an eye, you—along with the likes of Jerry Jones (“Jerry [Richardson] is one of the really, really, really outstanding men of football that I’ve ever met, and I really admire him”) and Bob McNair (“I know Jerry [Richardson]. He’s an outstanding person’’)—became yet another enabler. You are part of the reason this behavior is condoned and continues. I get it. Jerry Richardson decided whether you have a job or not. Next time, at least choose silence. Again, this is such a huge part of my point—Jerry Richardson is the Carolina Panthers OWNER, and there is no one above him, no one to hold HIM accountable. Jerry Richardson has done some pretty fantastic things. He brought an NFL team to the Carolinas, and I have personally witnessed him change lives with his financial generosity. THIS DOES NOT CHANGE WHAT HE DID TO ME. THIS DOES NOT CHANGE MY TRUTH. As the owner of the Carolina Panthers, you created a work environment that discriminated against women—in a field that is already inherently gender-biased. As a female Panthers staffer who worked directly in football, unlike males who worked directly in football, I was not allowed in the locker room, weight room or team hallways. I was not allowed to eat in the football lunchroom, was not given a staff locker, was not allowed to fly on the team plane. I was not given team attire, was not allowed at practice, was not paid equally. Your enablers told me to go to lunch with you even if I had already eaten or was in the middle of work. They told me to answer the phone when you called me. They told me to do whatever you asked, whether that meant driving you places, going to your home, carrying your things, meeting you in your personal office or game day suite. They told me to give you handwritten thank you notes to express my gratitude to you and to reiterate how great you are. Fear and intimidation abound in the environment you created. So does sexual harassment. You are the owner. You told me you have all of the power, that you held authority regarding all team and numerous league-related matters, including handpicking Roger Goodell. Your 6’3” stature, deliberate upright gait and turned down mouth, the way you like to tightly hold people’s arm to lead them, and your harsh tone…. I didn’t know what to do when you started leaving me suggestive handwritten notes, insisting that I reply and then destroy the note. I didn’t know what to do when you summoned me to your personal office, instructed me to sit in the chair across from you, pulled my chair towards you so you could sandwich my legs, which you proceeded to rub, between yours. I didn’t know what to do when you called me to your stadium suite in the middle of the week so you could take off my shoes, place my legs in your lap and rub their entire length, from toes to crotch. I didn’t know what to do when you asked me to turn around so you could see how my jeans looked. I didn’t know what to do when you brushed my breasts to put my seat belt around me in the front seat of your car. I didn’t know what to do when you put your hands on my mouth, for me to kiss them. I didn’t know what to do when you asked me uncomfortable, sexually charged questions. I didn’t know what to do. So, I did what you told me to do. [Undercutting other NFL owners’ claims that Richardson comments were “joking" or “misunderstood,” the source provided the handwritten notes she alleges Richardson wrote to her while she was employed by the Panthers. SI provided both the Panthers and Richardson’s personal attorneys an opportunity to review the notes and authenticate his handwriting. No response was provided to these requests. I want all of us to be at our best that week-end"
B. "④ If I could...I'd pamper you more. Rub your feet. Shave your legs. Put lotion on your body - etc, etc"
Richardson gave a note to every Panthers employee, players included, that outlined a list of his five core principles: hard work, harmony, teamwork, listen, respect. You left me secret envelopes of cash with specific instructions for manicures and pedicures and “pampering”. You told me you were taking care of me. Do you realize how much you hurt me? I don’t trust anyone because of you. I couldn’t have a real relationship because of you. I have low self-esteem because of you. I am insecure because of you. I suffered from anxiety and depression because of you. I feel shame because of you. I am a damaged person because of you. Did you know that sexual harassment and assault is against the law in North Carolina? I can only hope you donate your new billions to a credible non-profit organization that might make something good out of something so wrong. I cannot wait for you to take over the team so I can be a Carolina Panthers fan again. I hope you are female and/or African American, but regardless, please respect the power that comes with your new position. Don’t use it to intimidate or oppress people. Actually, be proactive and use it to mandate equality. 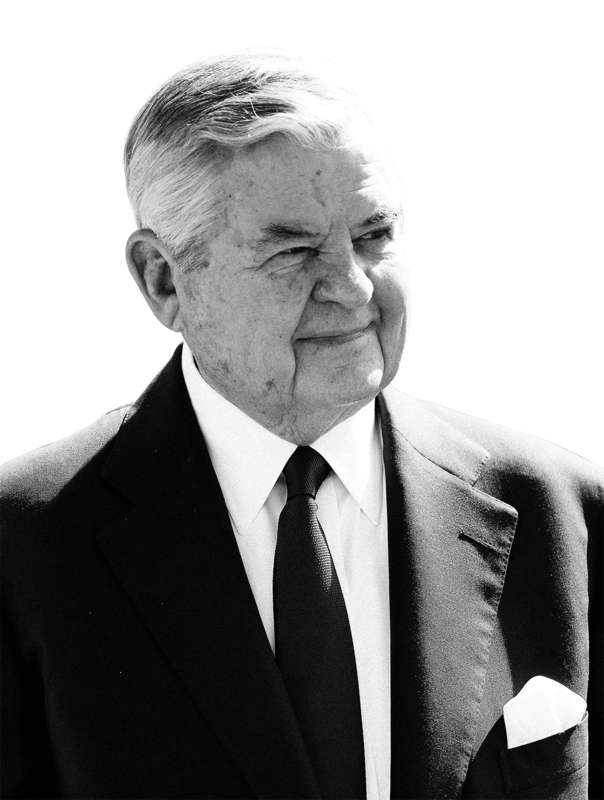 Please take down the statue of Jerry Richardson that stands outside the stadium. Every time I see that 13-foot, towering version of him, I feel violated all over again. Keep in mind that when you buy a company, you are getting everything, including its culture. Be prepared to change it, so people are treated and paid fairly. Don’t allow the old boys’ club to continue to flourish. Whatever enablers are left need to be let go. Please think beyond Carolina and be a leader in pushing for real, systematic change in the NFL. Demand strict policies that actually mean something and are not just for show. Maybe initiate a third-party, league-wide human resources department. Implement training for preventing, identifying and reporting sexual harassment. Push for legislative changes to allow OSHA to increase its authority concerning workplace sexual harassment. Work to eliminate NDAs. Be the change. I pray you are up for the challenge. Good luck! Full statement from the Carolina Panthers: “Since December 2017, when we commenced an internal investigation into allegations of workplace misconduct, the organization has taken the appropriate steps to remediate any misconduct and ensure a safe and comfortable work environment. These claims are very serious and we have cooperated with the NFL’s investigation and remain fully committed to improving every facet of our organization. Because this matter continues to be under an ongoing legal review, we will not comment publicly on the specifics of the allegations, but we do feel compelled to establish what we are doing to provide a healthy work environment.